This article needs to be re-arranged or reorganised to make it clearer and easier to read. All software goes through development stages, and Grand Theft Auto is no exception. This article lists all content cut from the final release of the game, planned contents that did not make it into the final game, and contents that are in the final game but are made inaccessible. These contents range from deleted vehicles and player skins to the removal of entire characters and mission strands. Information about these contents can only be inferred from game files, pre-release screenshots and videos, previews, and interviews with Rockstar's producers. Grand Theft Auto 64 was a cancelled Grand Theft Auto game for the Nintendo 64. Originally Grand Theft Auto it was called Race'n'Chase. Race'n'Chase was not just the old name of GTA, but it was a different project, with some features that GTA does not have. One of the employees of DMA Design, Mike Dailly, who worked in Grand Theft Auto 1, launched two prototypes of this game, made ​​by him in 1994-95. Accessible Trams were removed early in the games development for the San Andreas. Originally, the Superbike was supposed to be called "Bike". The antenna was removed from the TV Van. Limousine was called the Limo. Kids were probably supposed to appear ingame, because School Buses were cut. Tanker was called "Hi Explosive Truck", and later "Explosives Truck". The SWAT Van was cut from GTA. However, it can be seen in the official site in section "Special Cars". A bus in GTA 1. A weapon called the "Microwave" was removed. A weapon called the "Instant Vehicle Bomb" was removed. A weapon called the "ElectroBaton" was removed. The Barrel was cut from the final version. Joseph Daniel O'Toole's glasses were originally blue. It's widely believed that Leon McAffrey, Salvatore Leone or Donald Love was to give a mission to the player to turn back against the Yardies and befriend a Irish-American gang that were also removed, which may explain why the Yardies attack Toni. Sindacco Sabotage has the players fighting the Diablo's, it is likely the mission originally involved the Sindacco's Sabotaging the player. The Liberty News cut-scenes were cut. Toni's casual clothes were a purple shirt with a green vest. Toni's Hero Garb was originally blue and red and based on a Mexican wrestling outfit. According to screenshots, there was going to be a mission where Bryan and Vic were attacked by the Mendez Cartel. In the mission, Last Stand, there was an additional man that Vic had to kill other than Martinez and Diego Mendez. The Casual clothes were originally yellow. Tattoo Parlors, similar to those in San Andreas, were cut. The Army Fatigues originally read "USMC" on the shirt, meaning that originally, Vic would join the Marines instead of the army. The Fort Baxter Air Base said "Semper Fi" on one of the buildings. Many songs for Channel X, Los Santos Rock Radio, Non Stop Pop FM, Radio Los Santos, Radio Mirror Park, Rebel Radio, Space 103.2, The Blue Ark, The Low Down 91.1, Vinewood Boulevard Radio, and West Coast Classics have been found in the "trackid.gxt2" file (located in data/lang/american.rpf). 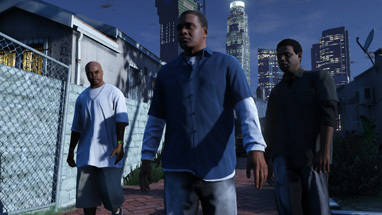 A pre-release screenshot shows Trevor Phillips wearing a green bandana similar to the one that Franklin Clinton wears. It can still be found in the files and can be worn through hacking. 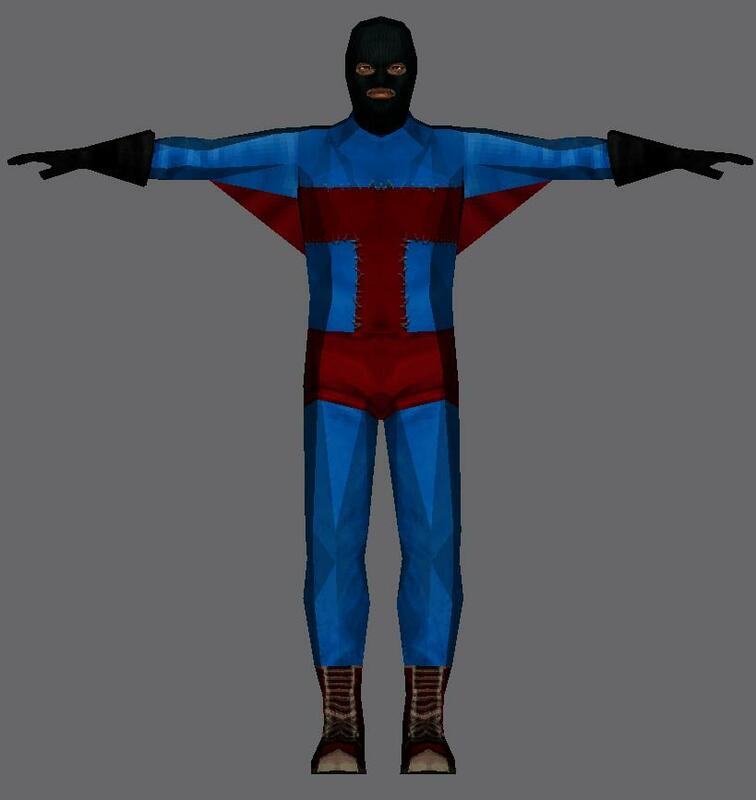 There is an unused firefighter outfit for Trevor in the files that can worn through hacking. However, Trevor doesn't appear in The Bureau Raid, so he could have originally. Michael has an unused LSPD outfit in the game's files which can be worn by hacking. It comes with a hat as well, meaning that Michael could originally wear hats. Franklin has an unused ballistic mask like the ones used by Michael and Trevor in The Paleto Score. This could mean that Franklin went into the bank with Michael and Trevor originally. In the mission, Minor Turbulence, Trevor drove a Canis Crusader out the back of the cargo plane, not a Merryweather Mesa. In the mission, Three's Company, the helicopter flown by Trevor was a Buzzard, not a Frogger. The 'Loud' option for The Jewel Store Job originally had the team wearing Balaclavas and not Motorcycle Helmets. In the mission, Did Somebody Say Yoga?, Amanda wore a white bathrobe, as seen in Trevor's character trailer. A pre-release screenshot shows Franklin and Lamar happening at nighttime. A pre-release screenshot shows Franklin chasing the plane in Caida Libre, not Trevor. In the mission, Scouting the Port, there was originally going to be a forklift section similar to Robbing Uncle Sam. Ron Jakowski originally didn't wear his red jacket, but he instead wore a white tanktop as seen in the second trailer. The Jerry Can was originally green, not red, as seen in a pre-release screenshot. 11 more bars were originally going to be obtainable: Bayview, Cafe Rojo, Cockotoos, Eclipse, Fes, Hi Men, Irish, Les Bianco, Mirror Park, Singletons, Unbranded. The Scrap Yard was going to be purchasable. Car theft missions were cut. Extra towing side missions were cut. Cluckin Bell, Burger Shot, drive-thrus, street vendors, and taco vans were all originally going to be usable and dispense healing food. ↑ Build 204.1 log in builds.xml. This page was last modified on 14 May 2015, at 01:48.